– The #1 champagne expert in the world. – Famous for his skills in blind tasting. – Pointed out 43 out of 50 champagnes in Paris at the annual Spectacle du Monde tasting in 2003. World record in tasted champagnes since 1998 (currently more than 6500 different champagnes tasted). In 1999 in Stockholm, RJ arranged what is arguably one of the greatest champagne tasting ever held, with the 150 best champagnes ever made. The same year RJ wrote the Christies catalog for the biggest champagne auction ever in the United States, when the book “2000 Champagnes” was released in Rockefeller Center. Also sold signed bottles of Richard Juhlin Collection at the auction. 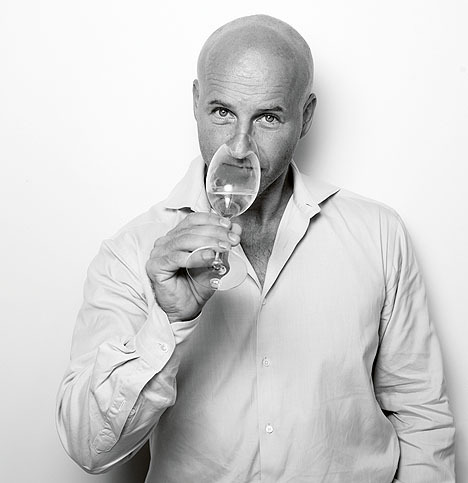 The following year he released “The Great Tasting” in London together with Sothebys. That book and “3000 Champagner” both received the prize for Best Book on French Wines in the World at the Gourmand World Cook Book Awards. The next book, “4000 Champagnes”, was released in the USA together with a Dom Pérignon restaurant tour, and received the big prize from Louis Roederer at Vinexpo 2005. In 2002 RJ got a “Merite de Agricole” from the French Ministry of Agriculture. Today, RJ is a free lance journalist writing for several magazines such as Spectacle du Monde, La Revue de Champagne, Wine International, Fine Wine and several others. RJ is currently working on a Television series with 13 episodes about “Drinks and Restaurants in Europe” for American and Chinese television. In 1999 he did a film called “Treasures of Champagne” for Swedish Television which sold to 14 different countries. Aside from television and writing, RJ is often consulted as a speaker all over the world. He also runs The Richard Juhlin Champagne Club and arranges travels to the district of Champagne.